I’ve had a humongous bag of flat leaf parsley in my fridge since last week and even though I’ve been using it regularly, I just haven’t been able to use enough of it. I hate wasting fresh herbs and produce, so decided to preserve some by making a batch of parsley pesto. Since I can tolerate certain dairy, including small amounts of highly fermented cheeses, I decided to make this a dairy-based parsley pesto with some good quality raw Parmesan. I love the saltiness and creaminess it adds, and the texture too. If you don’t tolerate Parmesan, just omit it and start with a smaller amount of oil, adding more as needed. I’ve made pesto before with no nuts or dairy and it still turned out wonderful. 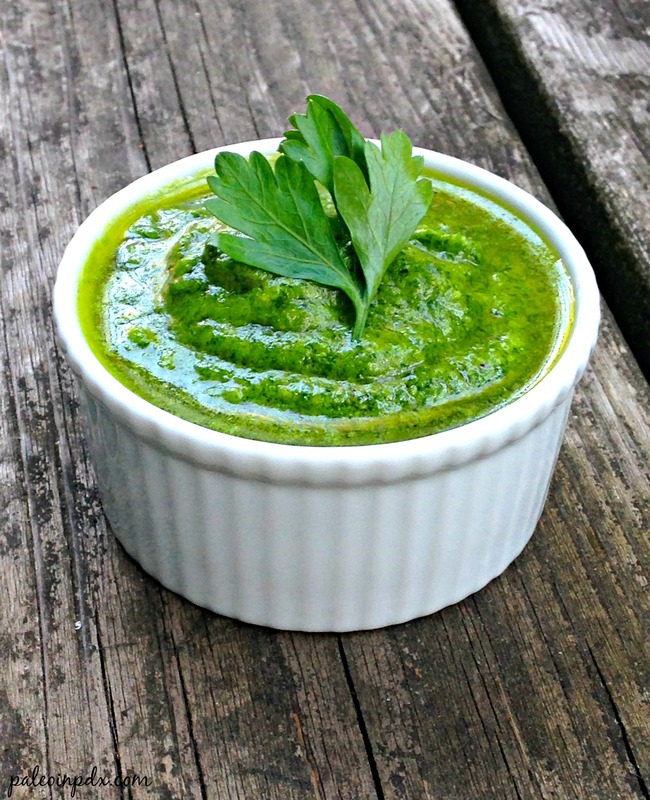 This pesto pairs well with so many different foods, including eggs, chicken, zucchini noodles, greens, tomatoes, fish, Italian sausage, etc. Use as you like! On another note, I’m back after some extra time away. As some of you know from my posts on Facebook, a lot has happened in the past few weeks, including my mom coming to visit, a lot of work and having to put our sweet Siamese kitty, Mila down (which I had to do when Jesse was out of town). So, I’ve had my ups and downs recently, and definitely some good and bad. I’m grateful for all the wonderful new memories my mom and I made during her stay, and all the support and love I received during the hard time with Mila. Thankfully, we still have our other kitty, Dutch too. Anyway, just wanted all of you to know where I’ve been. Thanks for your understanding. Combine all the ingredients in a food processor and blend. Scrape down the sides and taste and adjust seasonings as needed. Blend again. Store in the refrigerator until ready to use. So sorry to hear about your kitty–it’s hard to lose a beloved pet and I went through the same thing with my schnauzer buddy about 12 years ago. 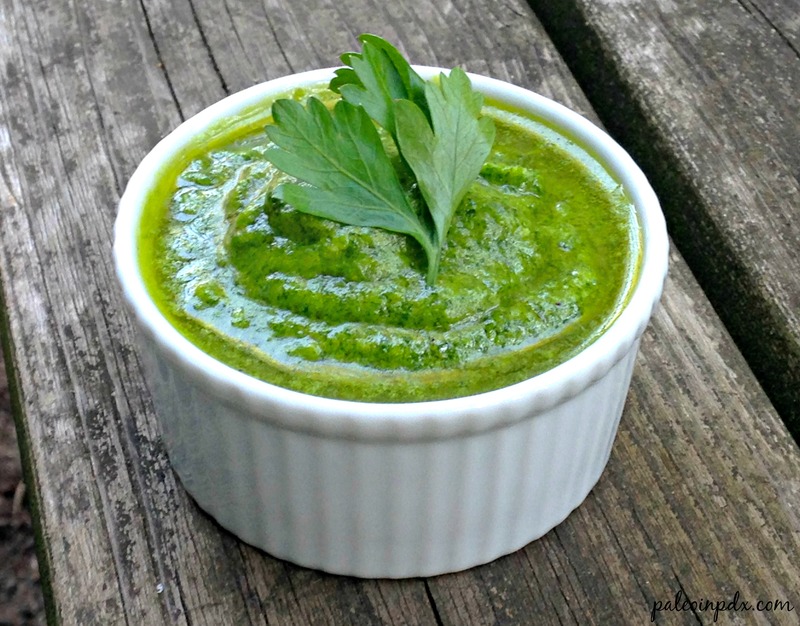 Love this pesto–so bright and fresh looking! I appreciate your condolences, Paula. Thank you!